Do other parents think about their child's college years this early? Do some consider starting to think about it when their children are past ten years old too late? I'm curious. One method, if it can really be given that much credit, I have been using is uPromise. When you make purchases starting from their web site, a percentage is given back to the college fund. Most stores do this, but not all. So if you are interested in helping out and shop online already, you can use this guest link. You don't even have to join uPromise! 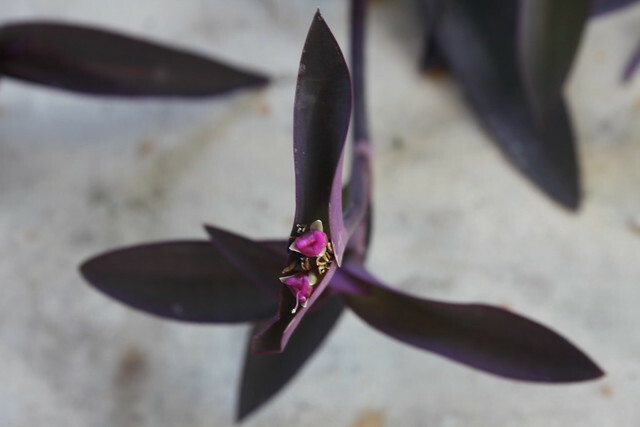 Tradescantia pallida, or Purple heart. Oh, and it's 2011. How did that happen? I don't have a child (as you know. :)) but I feel like if I did I would want to start saving as soon as possible. College prices seem to only be getting more expensive and it can't hurt to have as much saved as possible. Even if your kid does end up getting scholarships or grants then at least you'll have money saved for anything those may not cover, or you'll just have money saved for a rainy day!